The president of Somalia’s regional state of Jubbaland hailed the visit of Turkey’s deputy prime minister in the southern port city of Kismayo on Feb. 26. Hakan Çavuşoğlu and his delegation were welcomed in Kismayo by President Ahmed Islam before holding a meeting at the regional state house while visiting the port of Kismayo and Gobweyn, the historic meeting point of the Juba River and the Indian Ocean. The delegation was follow up for a recent sister cities announcement between Antalya in Mediterranean Turkey and Kismayo and also assessed areas for Turkish development projects. 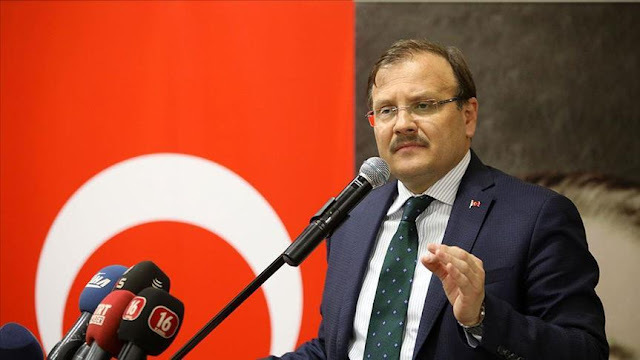 Turkish Ambassador to Somalia Olgan Bekar, who accompanied the delegation, said new development projects would be undertaken by Ankara in the region. The delegation led by Çavuşoğlu has met with Somali leaders, including President Mohamed Farmajo and the governor of Mogadishu, while visiting a recently opened Turkish military training center for Somali troops and inspecting the site of a future modern camp for the Somali National Army in Mogadishu. Since the 2011 visit of President (then Prime Minister) Recep Tayyip Erdoğan to Mogadishu during the height of a deadly drought, the diplomatic relationship between Somalia and Turkey has been highlighted by Ankara’s solidarity and cooperation with Mogadishu.